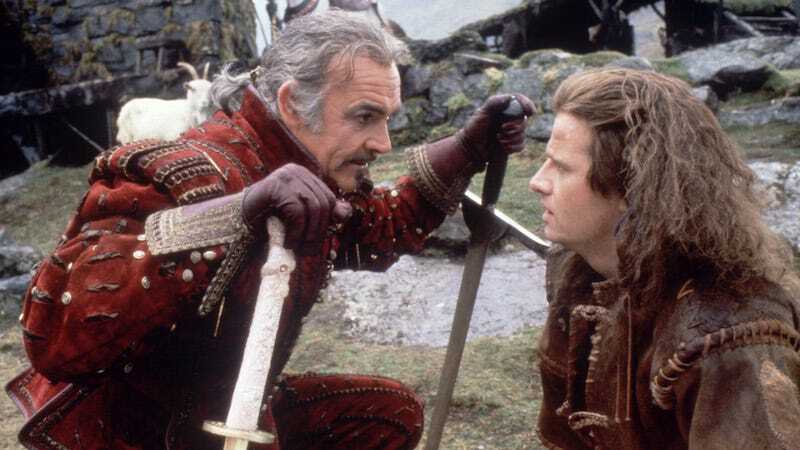 Between the alcohol and the low budget, the set of Highlander was probably one of the most dangerous places for an actor to be. We shot fast – in Scotland, London and New York. The budget was just $13m so it was guerrilla-style film-making. When we were in Glen Coe, the producer had to run down the mountain with a pocket of change to call the studio from a phone box. On the plane up, Sean brought out a bottle of homemade scotch a friend had given him. “C’mon, laddie,” he said, “have a nip of this.” It blew my brains out. Honestly, given everything Mulcahy talked about, drinking sounds like a necessity for getting through the shoot.